Iranian documentary filmmaker Shiva Sanjari is known for her documentary Here the Seats are Vacant, about the first woman filmmaker of Iran. The movie was shown at the 13th International Association of Women in Radio and Television (IAWRT) Asian Women’s Film Festival. How did you come into documentary filmmaking? I come from a visual arts background where I contentedly painted and made sculptures for ten years. But few years after my graduation, I was diagnosed with tuberculosis and was bedridden for six months. When I got better, I didn’t have the physical power to paint or sculpt. It was at that time when I thought of getting rid of the two-dimensional structure and put my skills into filmmaking and offer myself a bigger and better frame to express my feelings. What is your movie Here the Seats Are Vacant about? My film is about Shahrzad (stage name), a young woman in the pre-Iranian revolution days, who was sold by her father. It’s the story of her rise and fall where she first struggled as a cabaret dancer and then become an award-winning actress, a great author, and one of the first female directors of that era. I was born after the Iranian revolution and didn’t know anything about Shahrzad. She had become a semi-fictional figure by then. No one knew about her whereabouts or whether she is alive or not. I heard a lot about her from my grandmother. She advised me to make a film on her. Also, I wanted people to know her story and pre-revolution cinema in Iran. It took me five months to get in touch with her. I met people she was in contact with but they knew nothing about her. I asked her family members but they had disowned her a long time ago. One day, I read her interview by a French journalist who was her friend. I contacted him and he introduced me to Shahrzad. After weeks of conversations and assurance, she finally agreed for an interview. The movie’s title is very unique. People were excited to see the performances of Shahrzad back then, be it in the cabaret or in the movie theatre. But now, her life has shifted from the starry audiences to a small village, with no association with her past and her identity concealed. This shows the metamorphoses of her life, from fame to the world of obscurity, where no one knows her and the seats are vacant. 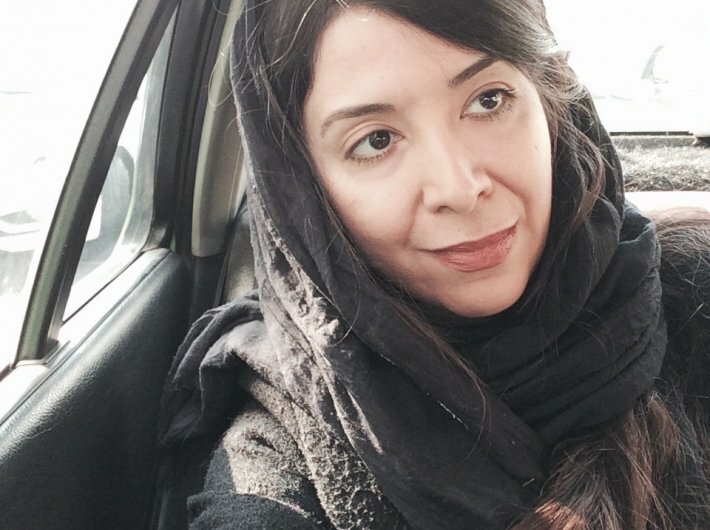 Is there any discrepancy in the number of male and female filmmakers in Iran? Yes, there is a slight discrepancy but the reason is not patriarchal inequality. The reason for the lesser number of female filmmakers in Iran is something else. I believe when art becomes an inseparable part of one’s life. For women filmmakers, it is difficult to shoot on outdoor locations for many days, supervise work in pre and post production, be an anchor throughout the filming and accomplish all the responsibilities of a mother and housewife at the same time. It is because of the physical and psychological fatigue over the time that women generally give up on their dreams of becoming a filmmaker. Every country has its own culture. How do you try to make your film universally referential? Talking globally, I would say that humans experience the same emotions of joy, gloom, betrayal, ecstasy, jealousy, vengeance, so on and so forth. An Iranian would laugh the same way as an Indian. The situations that lead emotions may be different from one country to another; but the emotions serve the real catharsis in a universal sense. Iranian filmmaker Asghar Farhadi, who won the Academy Award for his film The Salesman, is a suitable example of universally referential cinema.